“OUR BEST ADVERSTISING IS SATISFIED CUSTOMERS.” WE’VE SAID THAT FOR OVER A DECADE NOW, BECAUSE IT’S PROVEN YEAR AFTER YEAR. 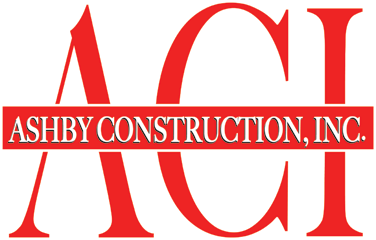 DAVID KELLEY, WHO STARTED ASHBY CONSTRUCTION IN 2002, HAS BEEN IN THE INDUSTRY FOR OVER 24 YEARS AND IS VERY PROUD OF HIS COMPANY’S HISTORY AND REPUTATION. MANY ASHBY CONSTRUCTION, INC. CUSTOMERS ARE REFERRALS, A TRIBUTE TO OUR DETERMINED PURSUIT OF QUALITY HOMES AND PERSONABLE SERVICE. WE STRIVE TO DELIVER EXCEPTIONAL CRAFTSMANSHIP AND PROMPT SERVICE, FROM THE DESIGN PROCESS, TO MOVE-IN, TO WARRANTY. WE STAND BEHIND OUR WORK EVERY STEP OF THE WAY. EVERY HOME WE BUILD IS BUILT WITH INDIVIDUAL CARE AND INTEGRITY. ASHBY CONSTRUCTION, INC. HAS PROVEN ITSELF TO BE ONE OF THE TOP HOME PRODUCERS IN THE AREA, WITH HOMES THROUGHOUT NATRONA COUNTY, INCLUDING THE AREAS OF CASPER, BAR NUNN AND MILLS. OUR REPUTATION HAS GROWN WITH OUR PRESENCE IN THE CASPER-AREA NEW HOME MARKET FOR TWO REASONS: OUR PASSION FOR EXCELLENCE AND OUR COMMITMENT TO CUSTOMER SATISFACTION. WALKING INTO ANY ASHBY CONSTRUCTION HOME, YOU WILL QUICKLY NOTICE A DIFFERENCE FROM THE COMPETITION-THE QUALITY IS OBVIOUS. OUR GOAL IS TO GIVE YOU MORE THAN JUST A BEAUTIFUL HOME, WE WANT TO BUILD YOU A HOME YOU WILL BE PROUD TO CALL YOUR OWN.